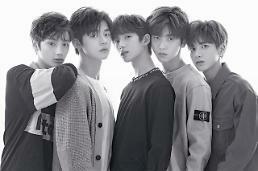 SEOUL -- TXT, the five-member brother group of K-pop band BTS, will embark on a showcase tour in the United States in May, two months after its successful debut at home. 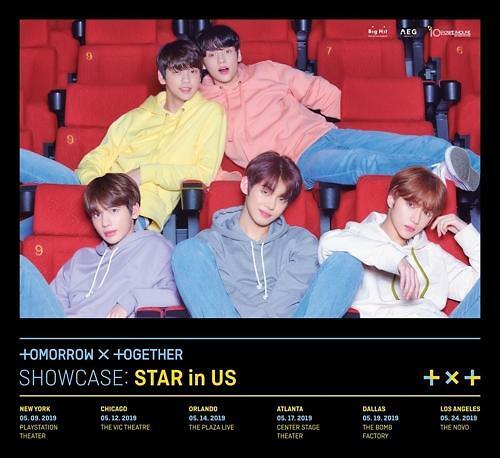 Big Hit Entertainment said in a statement Tuesday that TXT will begin "SHOWCASE: STAR in US", the band's very first U.S. showcase tour, in Chicago on May 9 to cover six cities including Atlanta and Los Angeles until May 24. The much-anticipated boy band made its grand debut on March 4 with "The Dream Chapter: STAR" and its title song "CROWN". 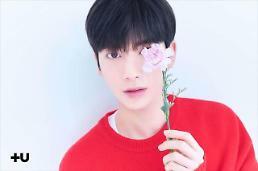 The reaction from K-pop fans worldwide was explosive. The music video for "CROWN" was watched 10,890,944 times on YouTube in just 15 hours of its release.